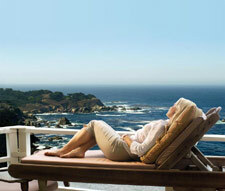 Monterey hotels, Pacific Grove Inns, Carmel Inns, Big Sur resorts. The Monterey Peninsula boasts a variety of hotels, inns, bed and breakfasts and cottages to make your stay incredibly unique. Carmel inns and hotels are unique in that you'll find no neon, national chains or conventioneers--just people who are basking in the renewal that Carmel provides. Endless flowers, Cypress trees and Pacific breezes bathe the inns and hotels in this singular village. Each Carmel inn or hotel will certainly contribute to an entirely unique vacation. Monterey's historic waterfront boasts some of the most unforgettable hotels that will make your vacation hard to forget. With unbeatable views and direct access to beaches, wildlife and waves, what more could you want? Many Monterey hotels are within easy walking distance of leading attractions, restaurants, shopping and nightlife. Monterey is rich with history and entertainment options and ideal for a romantic getaway, a family vacation or maybe a reunion with friends or relatives. Pacific Grove also known as the "Last Home Town" offers a unique opportunity to experience some of the charming boutique inns and bed & breakfasts on the peninsula. You may choose from a quaint cottage quietly tucked away or perhaps you prefer the old world charm of a Victorian bed & breakfast. 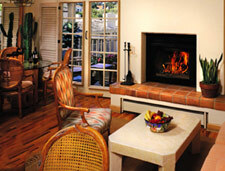 Pacific Grove Inns are a place to relax and reflect while enjoying the natural beauty that surrounds you. Great for small group gatherings, featuring split room suites. Also, rooms with kitchen facilities are available. Big Sur's majestic coastline is world renowned for its natural beauty and remote location. Here the most interesting and diverse accommodations await. You may prefer the simple feel of a cabin nestled in the Pfeiffer State Park or perhaps a luxury destination Big Sur resort with world class dining. This area, with its spectacular views, will not disappoint. For those of you who enjoy a more adventurous experience, camping and RV sites are available. This area will be as much fun for your pets as it will be for you, so don't leave your pets at home. Please give us a call so we may find the right accommodation for both you and your four footed loved ones. 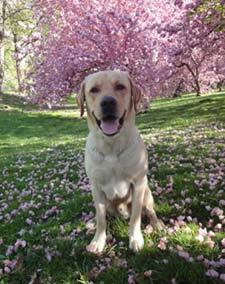 Please ask us about pet friendly restaurants and things to do. When making reservations for all your wonderful accommodations, please call our toll free number and a reservation specialist will assist you. Our preferred rates will bring you back again and again. Photos used with permission. Certain photos copyright, Beyond 21 Inc. All rights reserved. Copyright 2012-2013, California Vacation Center Reservations since 1997.